The unique design of the 1000 Mile Ultra Performance Cupron Sports Socks features embedded copper fibre technology, proven to be effective against the bacteria and fungus that can cause foot odour. As a natural mineral, copper promotes foot health and offers active protection throughout the life of the socks. 1000 Mile Ultra Performance Cupron Sports Socks feel softer and silkier than ‘regular’ sports socks. The single layer design is cushion padded in the toe and ball of the foot and high at the heel zone. 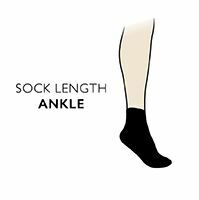 The socks incorporate built-in arch bracing for support and to give a custom fit.